The bill: The big change is that the measure "would take money the ACA spends on Medicaid and insurance subsidies and turn it into block grants to states, which could use it to design their own health-care systems," explains the Wall Street Journal. 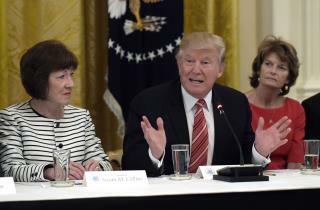 The plan also would end the requirement that individuals get insurance, and it would allow states to ditch certain rules, including the one that prohibits insurers from charging higher premiums over pre-existing conditions. More details at Time. Here is the bill itself. Why the deadline: Senate Republicans' ability to pass the measure with a simple 50-vote majority expires on Sept. 30. After that, Democrats could filibuster, reports the AP. John McCain: He famously tanked the last ObamaCare repeal because he faulted the Senate's rushed process. The CBO won't have time to fully score the Graham-Cassidy plan before Oct. 1, giving McCain ammo to oppose it. But, crucially, Arizona's governor just came out in support of the plan, which would give McCain political cover to back it himself. David Leonhardt of the New York Times lays out this new test for McCain. How states fare: The Graham-Cassidy plan would change the amounts of money that states receive, and a map at Vox shows that New York and California would be the biggest losers. Pro vs. con: The New York Times editorial page hates the plan. An editorial declares that "it is hard to overstate the cruelty" of the measure, in part because it would "end the subsidies that help people purchase coverage and stop the expansion of Medicaid." The National Review sees it as a "genuine federalist triumph" because "each state would have the freedom and means to develop its own health-care system." Remember the House: Even if the bill passes the Senate, passage in the House is not a "slam dunk," and the Washington Post looks at why. It is very hard to reverse Socialism..